there are many ways to help!! 1. Join one of our organized work parties. 2. Become a steward of a park. Join a work party - You will be helping remove invasive plants out of the park. You will learn about native species and invasive plants. You can find the dates of these work parties under News and Events at the top of the page. Everyone is welcome!! Training is provided. Steward of the Park - This is for really motivated individuals that would like to form a group of their own to adopt a park. We will support you throughout your adventure. We ask for experience and a commitment with this volunteer position. This involves advertising, organizing, collaborating with the Friends of North Saanich and making sure everyone is safe in the park. Spread the word - We need help handing out posters and pamphlets to neighbourhoods, posting on bulliten boards and posting at the parks. One of the best things you can do is be informed. 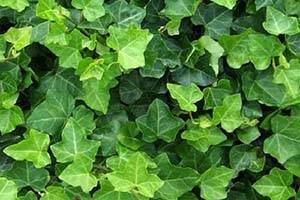 Here are some great tips on invasive plants. Purchase non invasive plants for your garden - There are so many lovely alternative plants that are not invasive. Do your research. Don't put invasive plants or seeds in the compost - Dispose of all invasive plants appropiately. Small amounts can be put in a plastic bag and put in the garbage. The landfill will have information on how to dispose of invasive plants of large quanities. Your municipality will also have information on the invasive plant disposal. 1. Donate the printing of posters and pamphlets. 2. Donate tools and gloves for the work party events. 3. Assist in organizing and scheduling events. Printing and distributing posters and pamphlets - We are in need of the printing and distibuting of posters and/or pamphlets for each event. Donation of tools and gloves - We are in need of tools such as clippers, loppers and gloves for our events. New or used are all great! Assist in organizing and scheduling events - Picking up refreshments and snacks, setting up, taking down, signing everyone in and signing everyone out for each event. Tell your friends - Spread the word through facebook, twitter or email for each event.